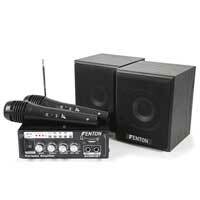 A complete plug and play sound unit with 2 wired microphones. 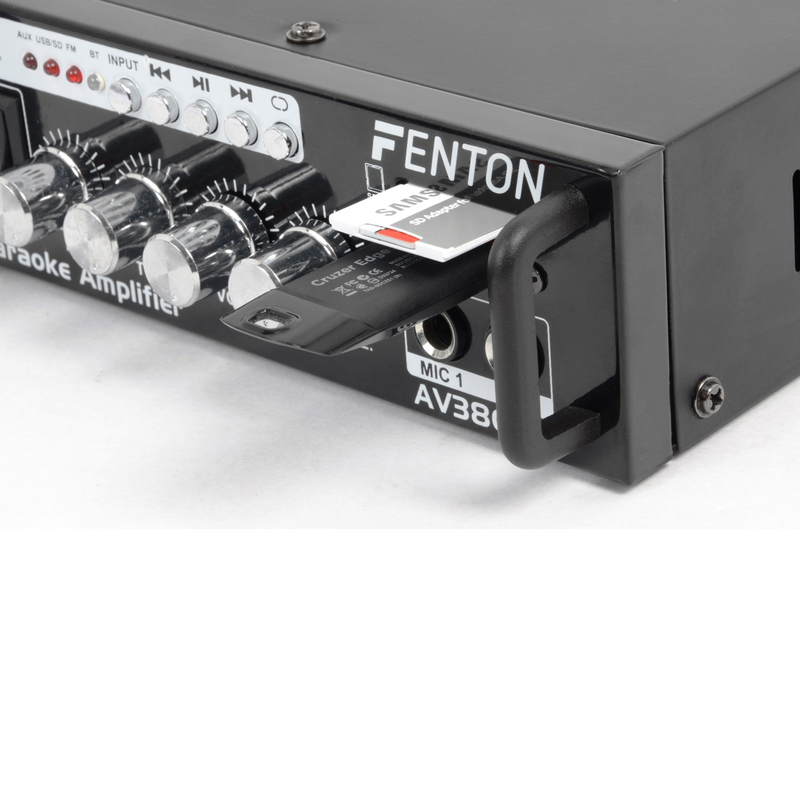 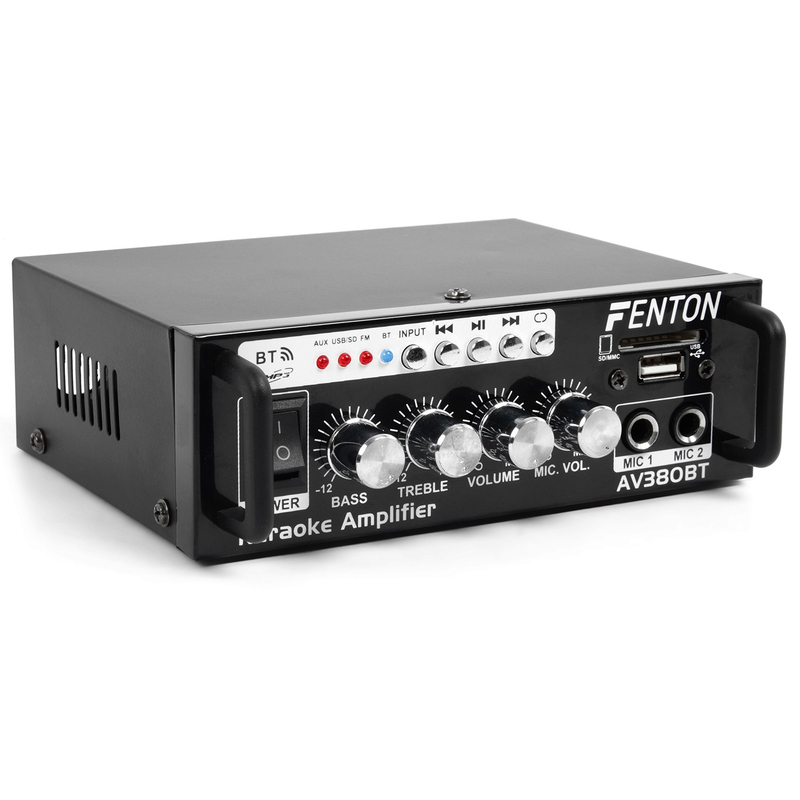 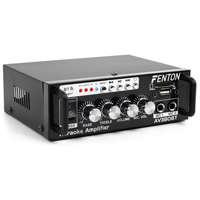 The amplifier has both USB and SD inputs to play music directly from a stick or card as well as a stereo RCA line input to connect an external player to the amplifier. 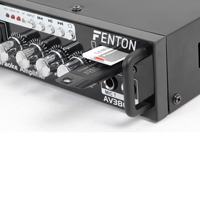 Or stream your music wirelessly with the build-in BT receiver. 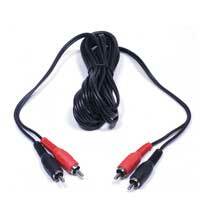 Supplied including all necessary cables to directly start your karaoke party.